Top Stories: A caregiver in mid-Missouri’s Jefferson City who’s accused in the death of 4-year-old Darnell Gray is in court this morning. Quatavia Givens allegedly told police she may have “hit him wrong”. The child’s body was found in a wooded area. 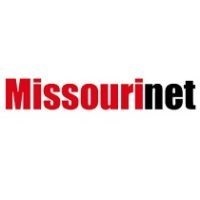 And the mother of a man who died in protective custody at the Mississippi County Detention Center in southeast Missouri last year has filed a federal civil suit. Quinta Sanders says the former sheriff, county deputies, jailers and the Charleston Department of Public Safety are to blame.